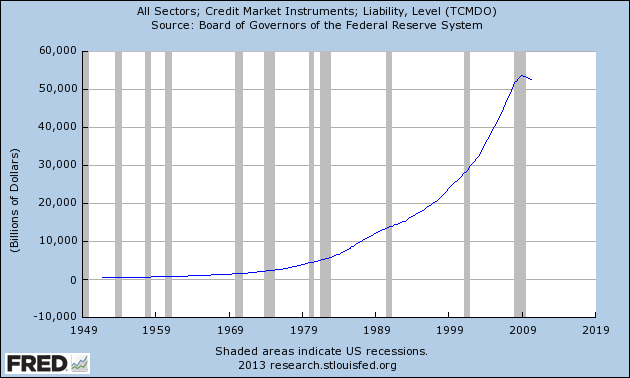 Beginning in the early 1970's the total credit market debt in America, which is composed of consumer, corporate, local government, federal government, and banking debt, began to explode higher on a new trajectory. 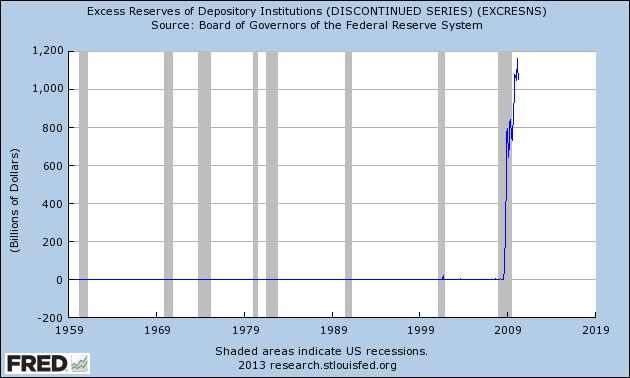 This was due to the removal of the gold standard in August, 1971. The credit expansion led to the greatest asset price boom in history, culminating in 2007 when stock prices, commodity prices, and real estate prices were many multiples higher than they were 20 to 30 years previously. The asset boom created millionaires and billionaires across the country and around the world. The story ended, or so we thought, in the fall of 2008 when the American consumer hit the wall in their ability to take on additional debt. 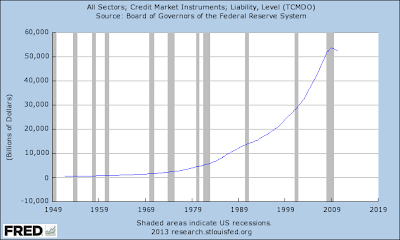 The following chart shows the peak in credit growth in the fall of 2008 and the reversal as gravity hit the debt markets. 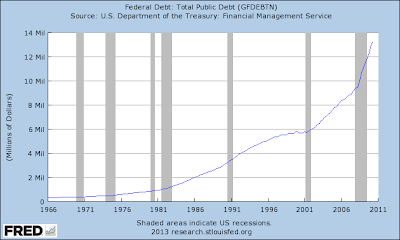 Gravity came in the form of consumers either not taking on additional debt, paying down existing debt, or defaulting on existing debt. 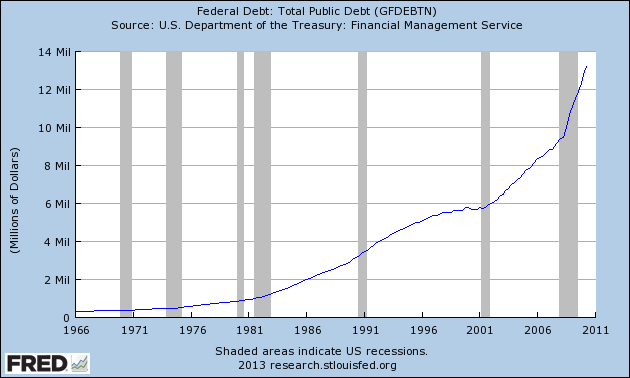 The chart below shows consumers hitting the wall at 14 trillion in debt and their deleveraging process beginning. As the global engine of growth began to to go into reverse it created chaos around the world. Stock markets crashed, real estate prices plunged, commodities went into free fall, global trade shut down, and the financial system almost disintegrated. 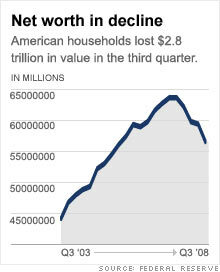 The net worth of Americans declined significantly as a result of the credit machine breaking down. In order to push back the much needed day of reckoning and cleansing of toxic debt in the system, three major programs were put into place in the United States. The first was the removal of mark to market accounting for the largest U.S. banks. This allowed them to carry toxic underwater loans on their balance sheet at full value which temporarily stemmed the hemorrhaging on their balance sheets. 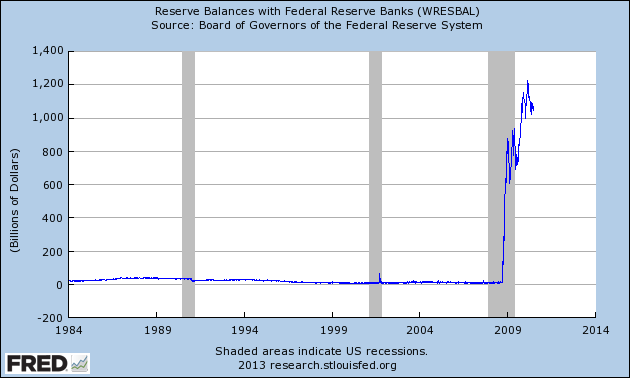 The second step was the emergence of quantitative easing. 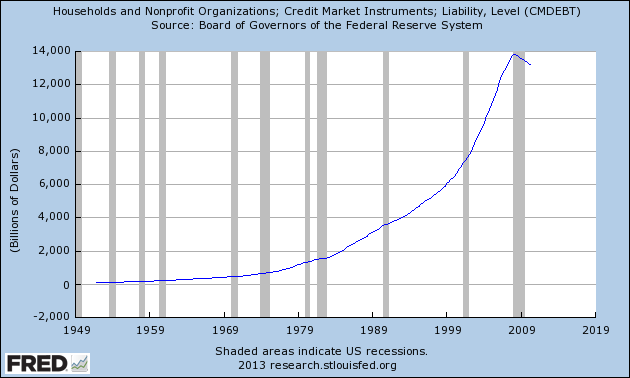 The Fed flooded $1.2 trillion into the financial system in order to re-liquify the markets and lower the cost for all borrowers to take on more debt. Flooding the financial system with printed money in and of itself does not create new loans because there has to be a willing borrower to take on additional debt. 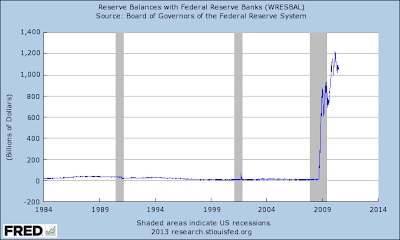 Because the U.S. consumer was still reeling, this new money was parked on the balance sheet of banks as excess reserves. The borrower of last resort, and the final step in the re-leveraging process, was the United States federal government. 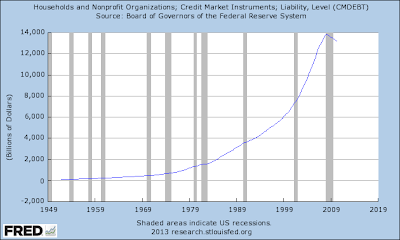 The government's balance sheet went parabolic in 2008 as the future tax payers began to take on over $1 trillion annually. This three step process worked, and the total credit market debt in the U.S. bottomed in June of 2010.
great post! I really appreciate your insight!